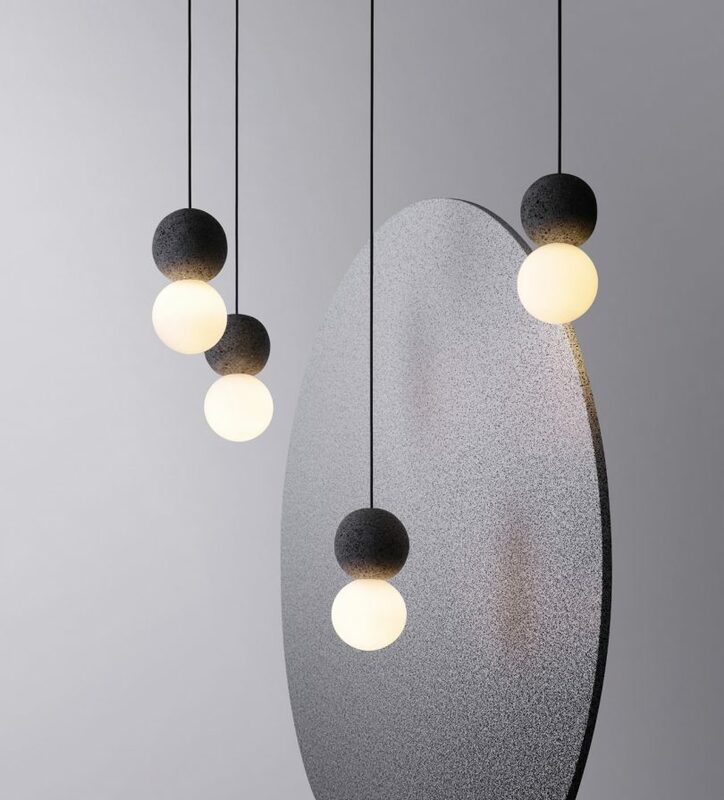 Origo combines volcanic rock and glass to form sculptural, geometric lighting. Studio davidpompa continues to explore mixed materials to create sculptural lighting with the latest combining volcanic rock and glass. The simple design pairs contrasting materials together to create geometric forms for a pendant and wall fixture. The Origo collection comprises two spheres, one made of volcanic rock and the other a glass globe, revealing a balance of light and dark tones, and rough and smooth textures. The fixtures are compact in size, designed to be hung solo or in any group configuration desired. When the fixture is lit, the light shines through the opal glass and bounces off of the porous rock highlighting the surface texture. The Origo collection debuted at Euroluce and is on display until April 14, 2019 during Salone del Mobile Milan.